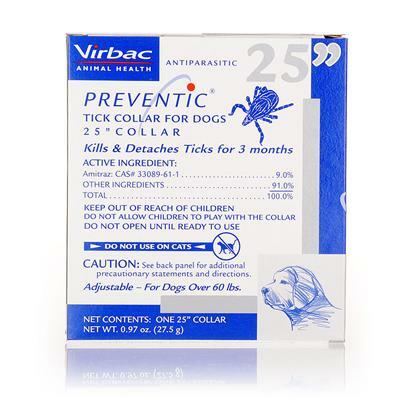 The Preventic Dog Collar is an effective tick treatment for dogs of all sizes. The easy-to-use Preventic Dog Collar starts to rid your pet of ticks within hours and prevents them for up to three months. Rated 4.5 out of 5 by 37 reviewers. Great Price for hard to find product. What covers the other 3%? Did not work for my dogs! Stops ticks that Frontline Plus doesn't. They Should Make These For Humans!!! Works GREAT!! !